Today i will talk a bit about the women's Costume of the central Dalmatian Coast. There are several variants of this costume, but I have more information on the what is considered the daily costume of Split than any of the others, so I will cover it in more detail. 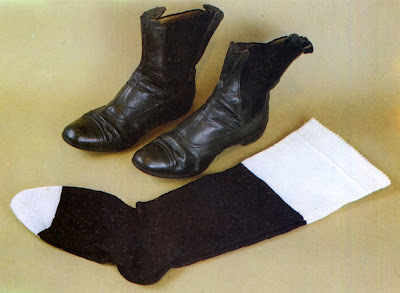 The formal 'Town Costume' which is more well known, will be the subject of my next posting. 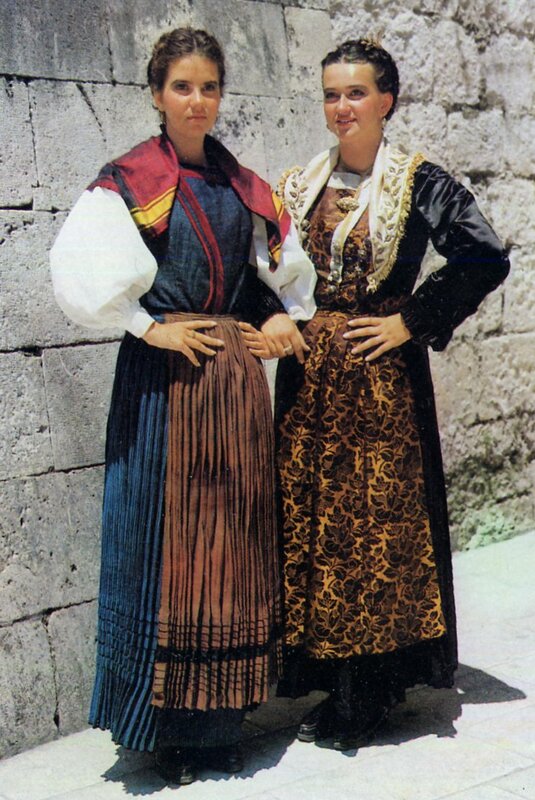 This costume first developed in a village on the very outskirts of Split called Veli Varoš, but has been adopted by the town dwellers today as well. The photo above shows one of the festive or dress versions of the costume on the right and the 'daily' costume on the left. Here is another photo of the everyday costume. The pad on her head is so that she can carry loads on it. Here is a rear view of both the daily and formal costume of Split. and even in Boka Kotorska, a Croatian enclave on the coast of Montenegro. The jacket is an optional piece of clothing with all of these costumes. 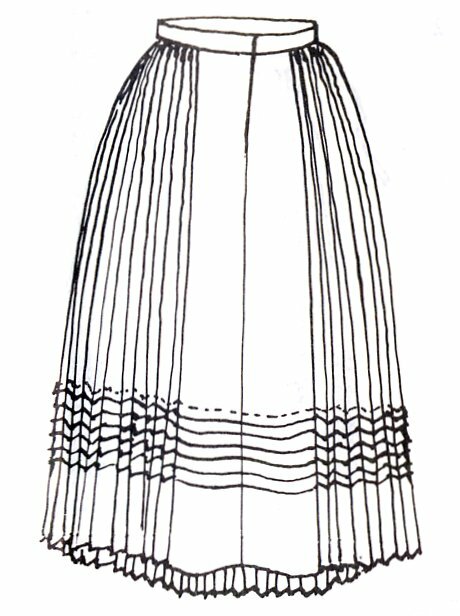 The daily costume of Split consists of a linen chemise, long, finely pleated skirt, seperate bodice in this case, and an apron which is also pleated. 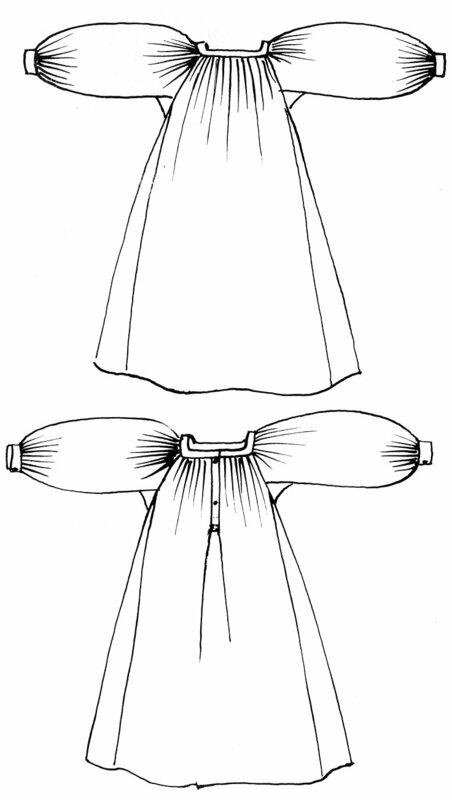 The skirt and apron both have several horizontal tucks as well as being pleated. 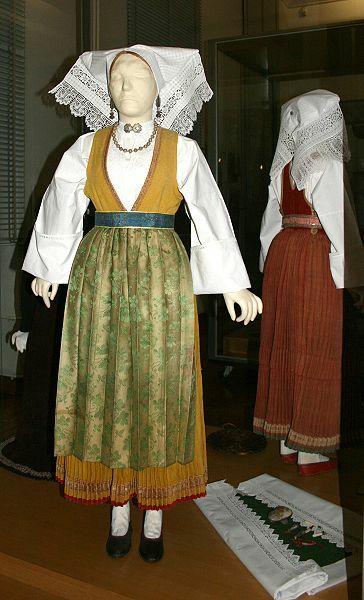 The base of the costume is the chemise, here called košuja, which has a very typical cut. 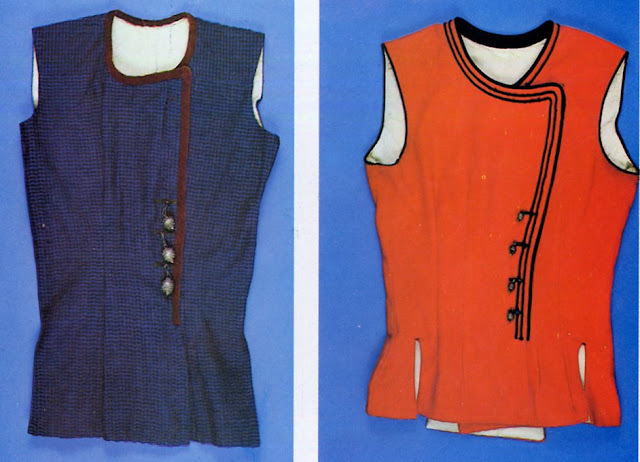 In Split, the sleeves are gathered into cuffs, in contrast with some of the others shown above. 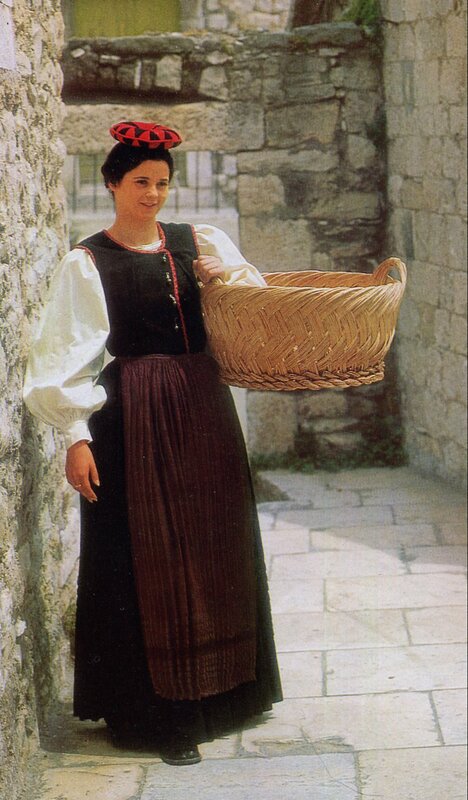 Under the influence of city dress, a petticoat, the šotana, is worn over the chemise. 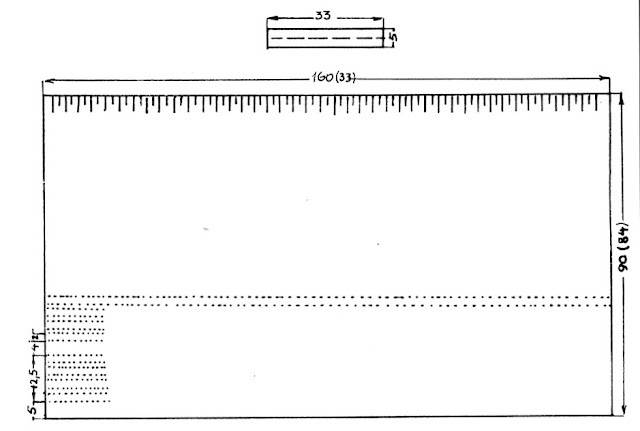 This is also of linen. 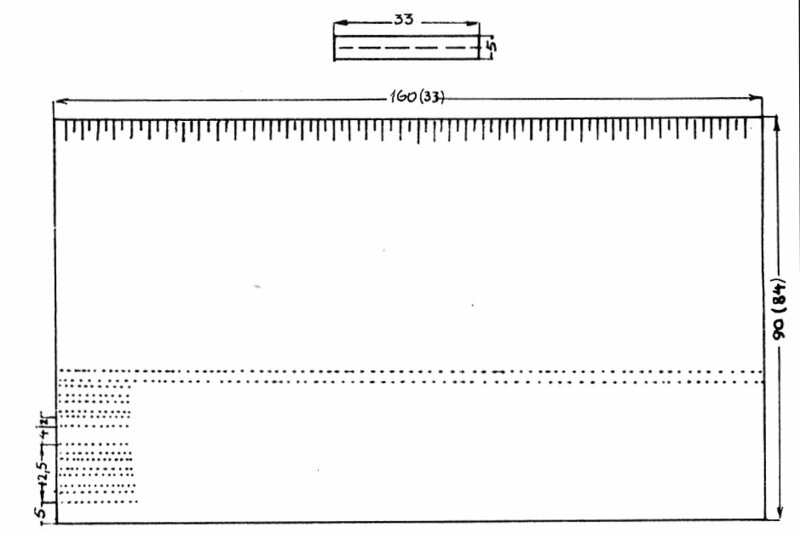 It is long, full, and has a couple of horizontal tucks. 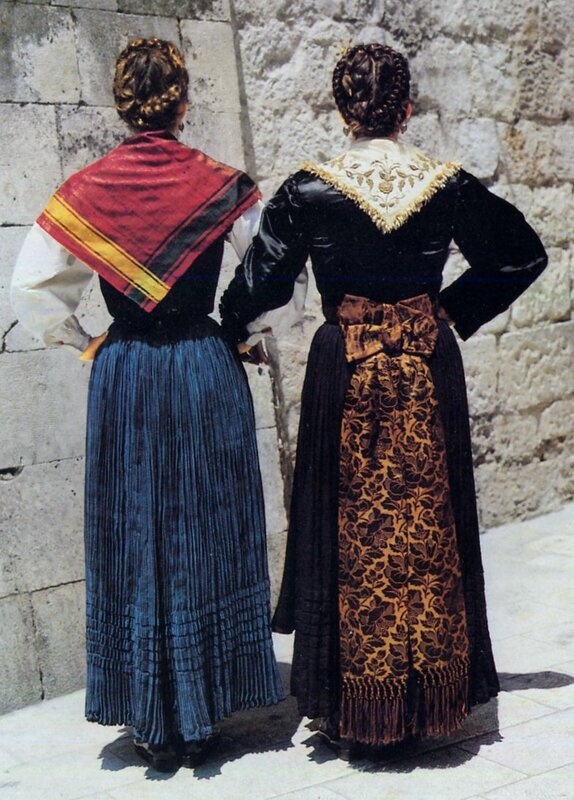 In Split, again unlike Pag, Pakoštan or Murter,but like Omiš, the bodice is seperate from the skirt. It is called korpet, has a high neckline and overlaps in front. 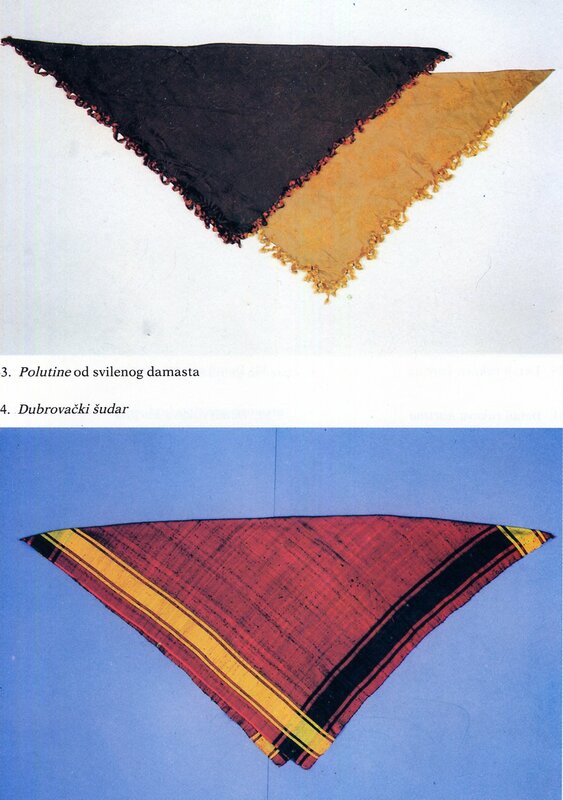 For daily wear it is made of simple or even home-woven cloth. Notice the round silver buttons, typical of much of central Dalmatia. 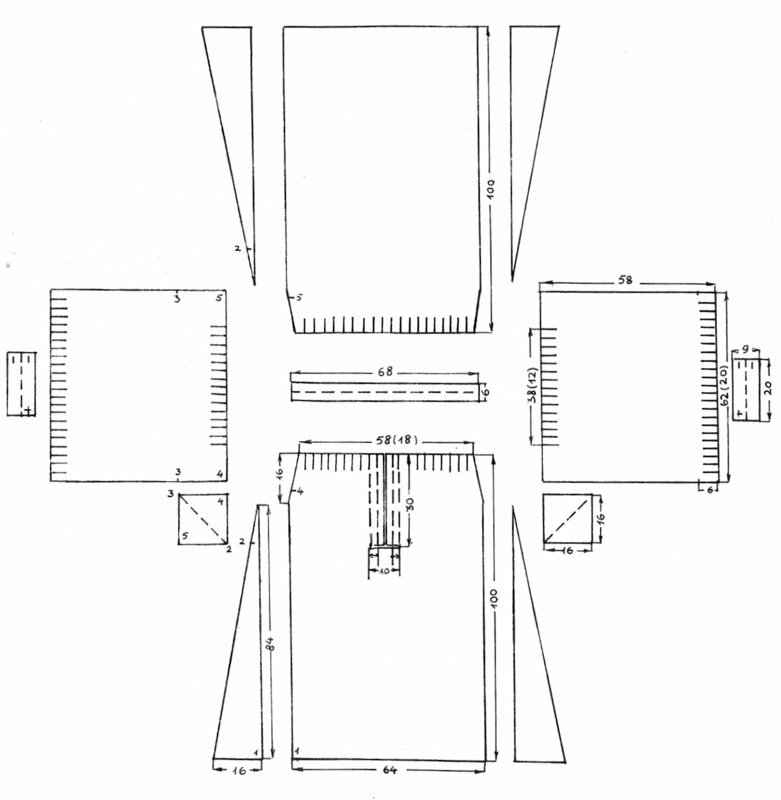 These were especially associated with Šibenik, and may be small or large, simple or very fancy. Similar buttons are found in the north of Sardinia as well. 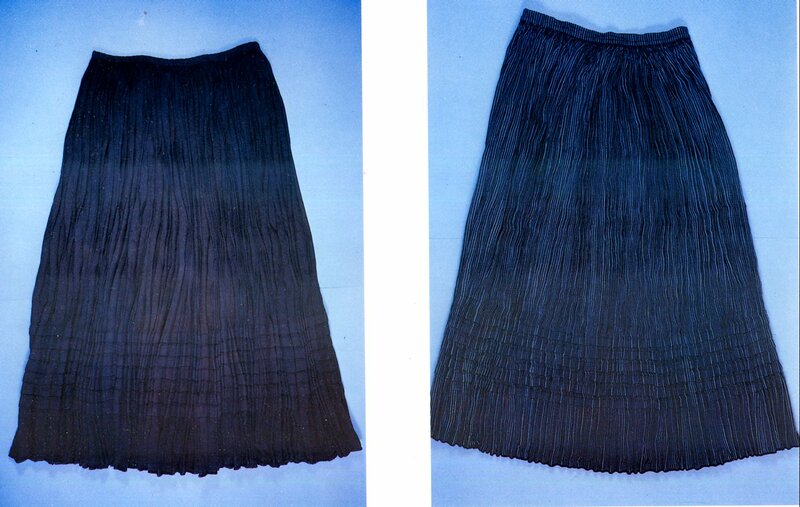 The skirt called brnica, is ankle length, tends to be dark in color and is finely pleated. 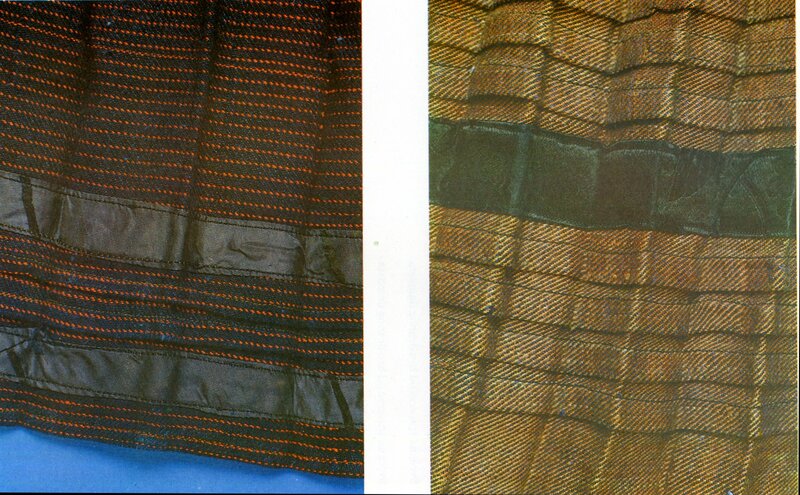 If you look closely at the skirt on the right, you will see that it is woven in narrow stripes. 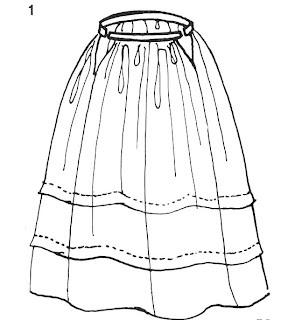 The front of the skirt, which is covered by the apron, is not pleated. This is very common in Folk Dress. 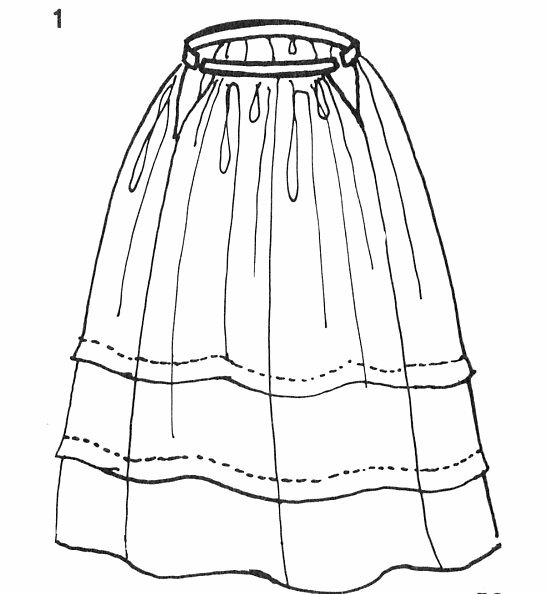 The skirt is quite full, about 4.5 meters or so. An apron is always worn with this outfit. 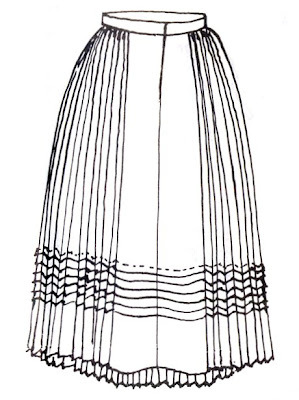 There seems to be a preference for quiet browns and dark colors, with stripes woven into the cloth, ribbons sewn on and many horizontal tucks, after which the entire apron is pleated. 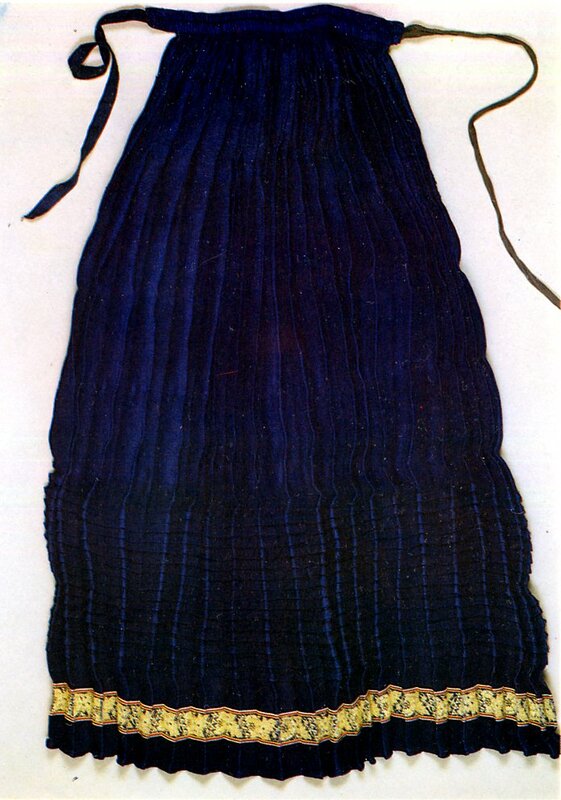 A small scarf may be worn over the shoulders. A wide array of elaborate jewelry is worn in this region, but the daily costume of Split generally has little accessorization. The formal or festive costume is another matter. 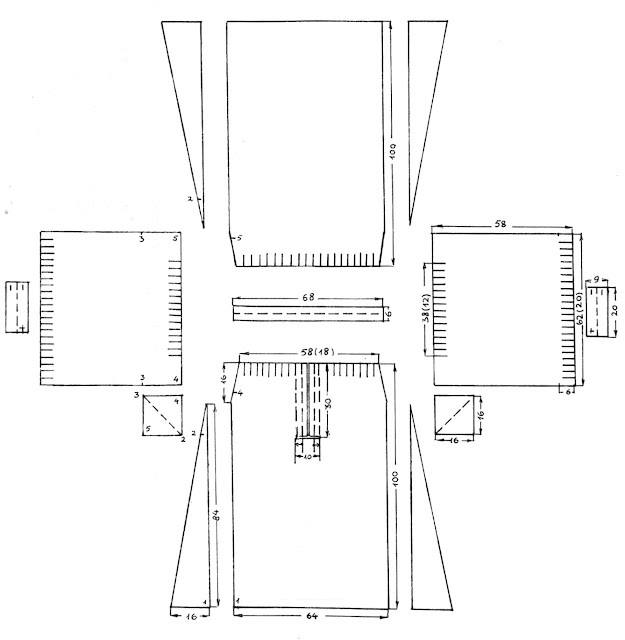 I hope you have found this interesting. 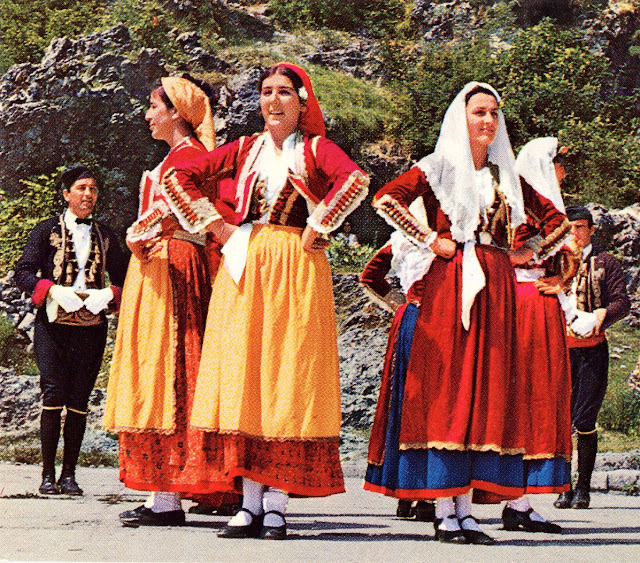 I find that most folk costumes are quite attractive. Very interesting and beautiful work!